Are you looking for a high-quality, powerful a/v receiver to drive excellent sound and video for your home theater setup? Well, Pioneer has set the gold standard once again with their brand new VSX-1130-K series receivers. 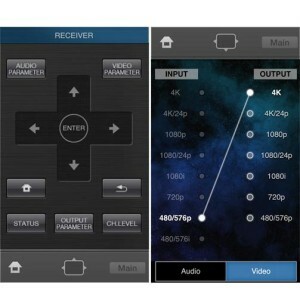 Below we provide a detailed review of this receiver to help you better understand the pros and cons of the device. The VSX-1130-K is the latest and greatest in home theater technology. A sleek and stylish 7.2 channel receiver that can pump out up to 165 watts of juice per channel, this thing is an absolute beast. 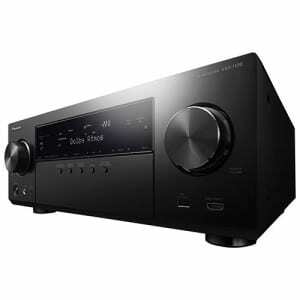 Featuring the most advanced audio tech, 4K Ultra HD upscaling & pass-through, an easy-to-use navigator, and Spotify Connect Ready, this receiver is one of the best on the market today. What better way is there to determine the quality and ability of a product than word-of-mouth? There isn’t one. That’s why we always recommend reading reviews left by real individuals that have purchased and used a product before investing money in it yourself. that drives pure, rich audio from every angle, even above. 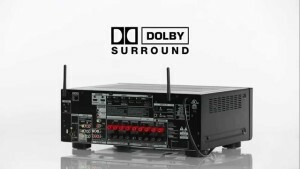 With ATMOS, Dolby has re-imagined how sound is delivered. Rather than pushing audio via channels (the standard practice in the past), the ATMOS system produces sound based on objects. What does that mean? Essentially the noticeable difference is that the sound feels more natural. Rather than having audio just come at you in a seemingly synthetic manner you’ll honestly feel like you’re a part of what’s going on. Movements and dialogue tap your ears much like real life. Music, no matter what the source, sounds and feels like a beautifully crafted live performance rather than digitally processed audio. 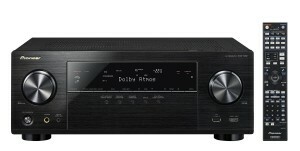 In other words, the Pioneer VSX-1130-K receiver turns your living space into a deeply immersive, audio/video playground. Pioneer recommends having 8 to 14 foot high ceilings with flat surfaces for this audio tech to perform its best. On top of that, it also requires having Dolby ATMOS, compatible speakers. WiFi and Bluetooth to make streaming a snap. If you plan to use an iOS or Android device, it’s even easier as there is an official app for both that allows you to connect your smartphone to the receiver and start feeding content to your system in just a couple of minutes. Whether you’re feeding a standard 1080p television or a newer 4K UltraHD video source into your receiver, you can rest assured that it’ll work beautifully. This receiver comes with support for full bandwidth HDMI and possesses high-bandwidth digital copy protection. 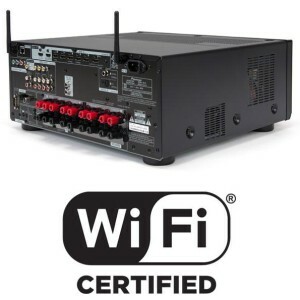 Daunted by the complexity of setting up a new receiver with your home theater system? Pioneer has made installing and readying your new VSX-1130-K as easy as pie using the excellent AV navigator technology. This is an application that’s built into the receiver that provides clear, easy-to-follow instructions for setting up the receiver. It also includes information about all of the features of the device in an easy to read format. Not sure how to connect your phone to your new receiver? Hey, there’s an app for that! Pioneer’s Start-Up Navi App can be downloaded to your iPhone, iPad, or Android device and used to quickly and easily connect your mobile phone or tablet to WiFi, adjust system settings, and more, all at the touch of a button. This app is available for download on the iTunes App Store or Google Play. Want to change input types, the surround sound mode, or even basic settings such as the master volume without having to open your cabinet to reveal your receiver? Well, the Pioneer VSX-1130-K has a nifty feature that solves that issue, too. It’s called the OSD (On-Screen Display). Activating this feature allows you to use the unit’s handy remote to bring up an overlay menu that comes up over your current visual content and enables you to make changes. This means you can adjust nearly any function without having to swap video sources or channels to a blank screen and miss your favorite TV shows, movies, or other visual content. 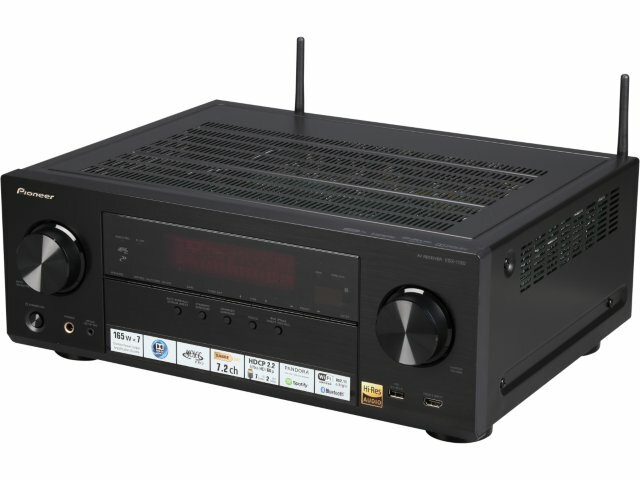 Want to feed your favorite tunes and stations from popular Internet radio sources through your new receiver? The VSX-1130-K is capable of streaming audio from some of the top-rated music applications in the world including Pandora, Spotify, and vTuner. In other words, you’ll have access to endless hours of your favorite music. It’s important to note, though, that some of these services require a paid subscription to use. Spotify Connect is one such service, and it typically costs around $10 a month for access.